Spain is home to a whopping 44 UNESCO World Heritage sites, including historical, cultural and archealogical gems, third in number of sites only to Italy and China. Without knowing it, I ended up in eight of those 44 in 2013, plus the Old Cities of Dubrovnik (Croatia) and Kotor (Montenegro), and my Christmas trip meant revisiting the Old Towns of Salzburg and Vienna and checking out Schönnbrun Palace (Austria), taking a boat trip down the Wachau Valley and visiting the Abbey of Melk (Austria), and walking around the Buda Castle area (Hungary). Of 981 around the world, it’s a very small sliver of them. If you’ve taken high school Spanish, chances are you learned early on about the horseshoe spires of the Córdoba Mosque (in my case, it was plastered on the inside cover of my Paso a Paso 1 book). As a center for learning and once the largest Moorish city in Europe, Córdoba’s former glory is evident in the collection of buildings in its historic center, along with the countless contributions to science, medicine and art that the cordobeses made under Moorish rule. The area is easily walkable. 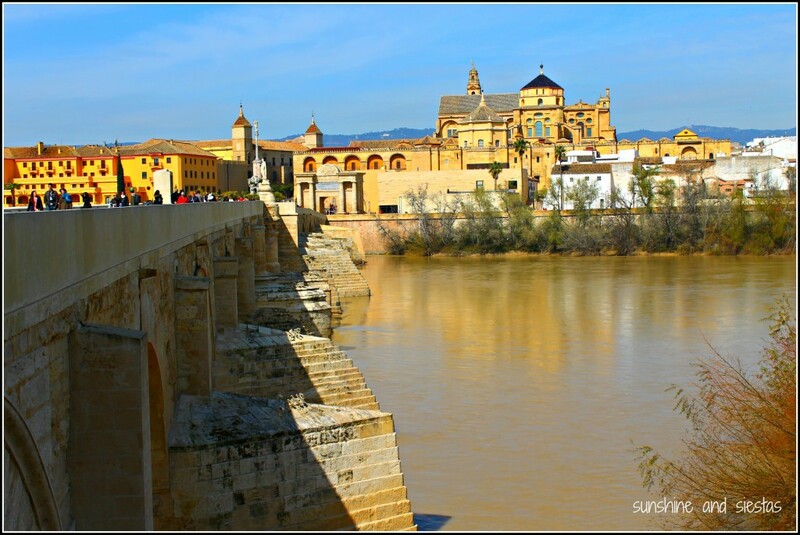 At less than an hour by bullet train, Córdoba makes an excellent day trip from Seville, and while you’re there, be sure to try its gastronomical claim to fame, too: salmorejo and flamenquínes. Again, if you’ve taken high school Spanish, you’ll be familiar with the goofy character of Don Quijote, an aging Spanish knight who goes on a quest to defend the plains of Castilla from the bad guys (which are windmills, by the way) and win the love of the maiden Dulcinea. Written by Miguel de Cervantes over 400 years ago, this story remains one of Spain’s best-known and timeless pieces of literature. 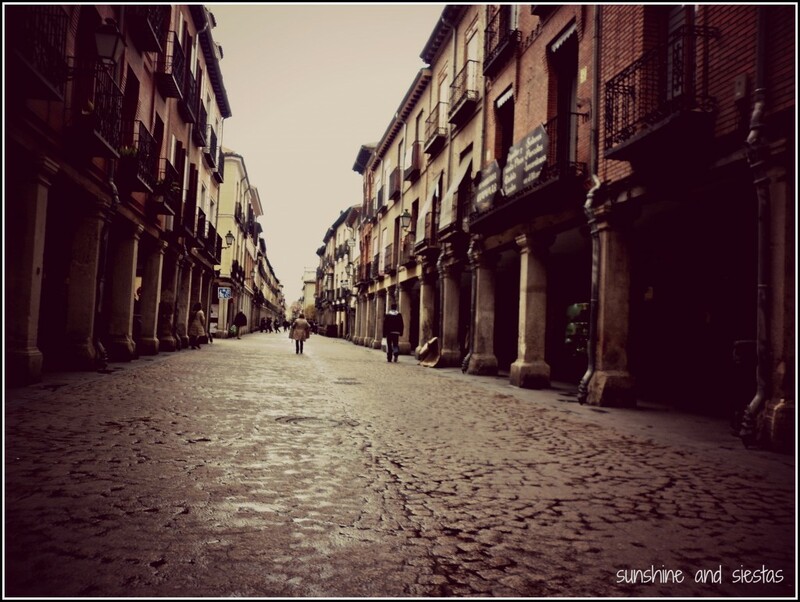 Cervantes was born and raised in the city of Alcalá de Henares, near Madrid. This city was planned as a university city by Cardenal Cisneros, who would later become infamous during the Spanish Inquisition rather than for creating a model for future universities and their town-gown relations. My sister-in-law, Nathàlia, lived and studied in Alcalá before moving to Dublin with her husband (and the Novio’s younger brother), and she invited me out for a day. We toured Cervantes’s boyhood home, learned the history of the university through a guided tour and even got to see a dying breed in Spain: free tapas with your drink. As one of Spain’s few biological sites, Doñana National Parks is one of the largest in Europe and touted for its diversity of biotopes and animal life. Located along the banks of the Guadalquivir and extending all the way to the Atlantic Ocean, it’s also believed to be the site of Atlantis. The Torre de Hércules is the city symbol of La Coruña and the world’s longest functioning lighthouse. Built in the 1st century in Greco-Roman style, it’s one of Spain’s latest additions to the list. The lighthouse can be visited and climbed for 3€, though you can admire it from afar, too. After spending the month in Coruña, Claudia hosted me in Oviedo. Back when the Moors took over all of Spain, the Virgin Mary appeared to Don Pelayo in Covadonga and ordered him to conquer Spain. He became the first king of the Reino de España in the earl 8th Century, and asturianos retain that their small patch of land, surrounded by the Picos de Europa, is the only real Spain that exists. 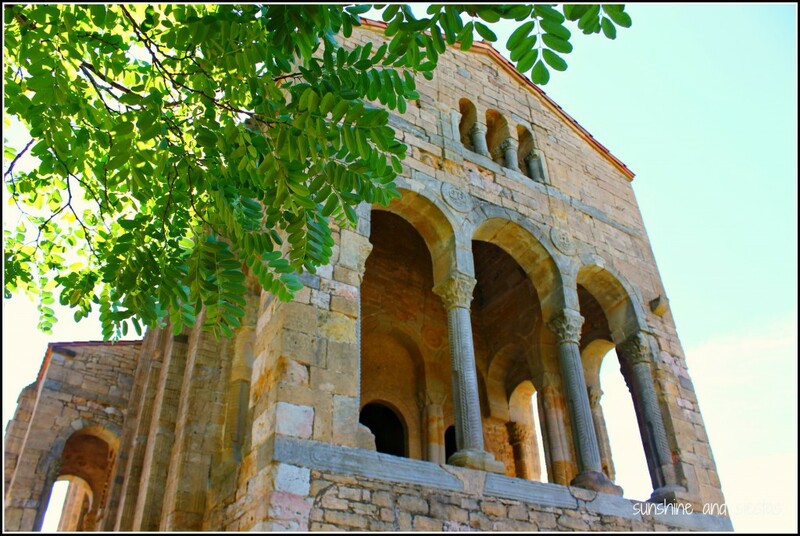 The Pre-Romanesque churches make up part of the city’s heritage, built in the 9th century above the city. Entrance is free, but be prepared to take the bus out of town. 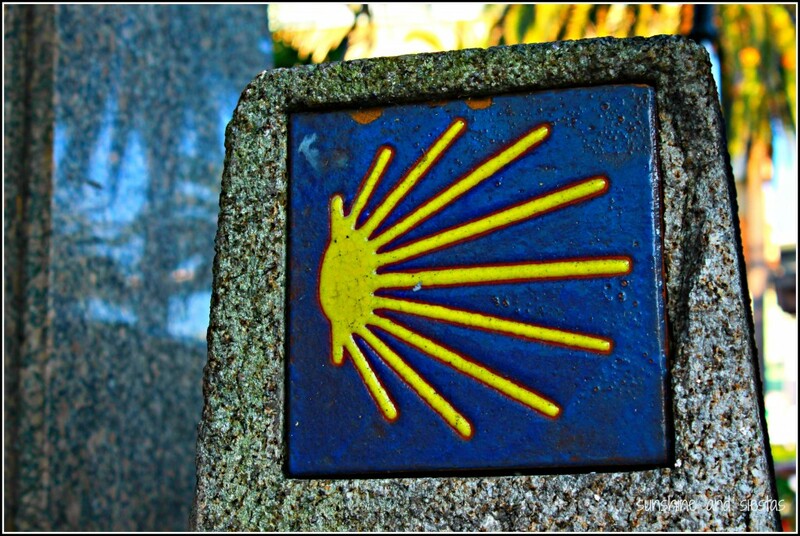 One of my best memories from the year was walking the Camino de Santiago with my friend Hayley. We did 14 days and 325km on the century-old pilgrim route to Santiago de Compostela, where the remains of Saint James are said to rest. I had been to the city half a dozen times, but arriving on foot after so many steps made the Plaza del Obradoiro more special. I only walked 40 kilometers on the French Route, but the tentative list of World Heritage sites include the Northern and Primitive routes. After reaching the Plaza del Obradioro in Santiago de Compostela, Hayley and I had just one idea: celebrate with a glass of wine in the city’s famed parador. In the two days we spent in Galicia’s crown jewel, we did little else but wander through the city’s lichen-stained limestone buildings and toast to an incredible journey. Must-sees include the gargantuan cathedral and resting spot of Saint James (you can also hug him behind the altar), the square in front of its facade, the sprawling Alameda park and the numerous bars along Rúa do Vilar. Later that month while attending the tomato-slinging mess that is La Tomatina, Kelly and I visited the Lonja de la Seda, a tribute to Valencia’s history as a merchant port on the Mediterranean. Erected in the 15th century, the building’s great halls and chapels now provide a glimpse into the trade life through its Renaissance decoration and Gothic architecture. La Hispalense is not without its own UNESCO World Heritage site: thanks to Seville’s role in the discovery and exploration of the New World and its enormous Gothic cathedral, these buildings and the Alcázar gardens form the historical complex at the heart of the city (and every touristic plan). Moorish influences on the buildings are testament to the city’s long and varied history, and the buildings are all still used today: the Archivo de Indias houses important documentation pertaining to the New World discovery, the Cathedral is the seat of the Archdiocese of Seville, and the palace plays host to the Royal Family when they comes down South. This, of course, has not been without controversy. 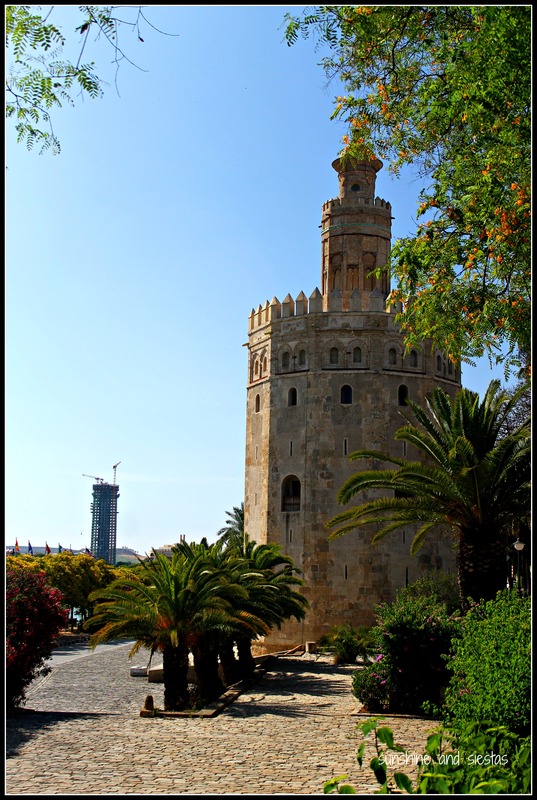 UNESCO considered stripping the honor from Seville when the city went ahead with plans to build the Torre Pellí, which became the tallest building in the city after the Giralda owned it for a millennium. 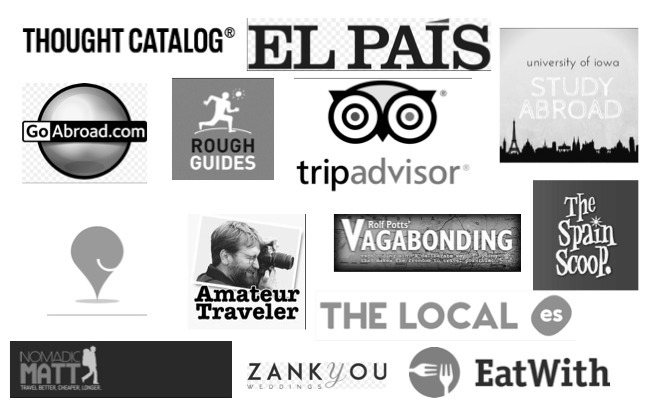 How many of Spain’s 44 sites have you visited, and which are your favorites? I’m hoping to make it to Baeza and Úbeda and Teide this year, with a repeat in Cáceres and Mérida. My life has been lived next to rivers. Every home I’ve ever known has been in a city where the river runs through it, so it was no question I had to find a place blocks from the Guadalquivir when I moved to Seville. 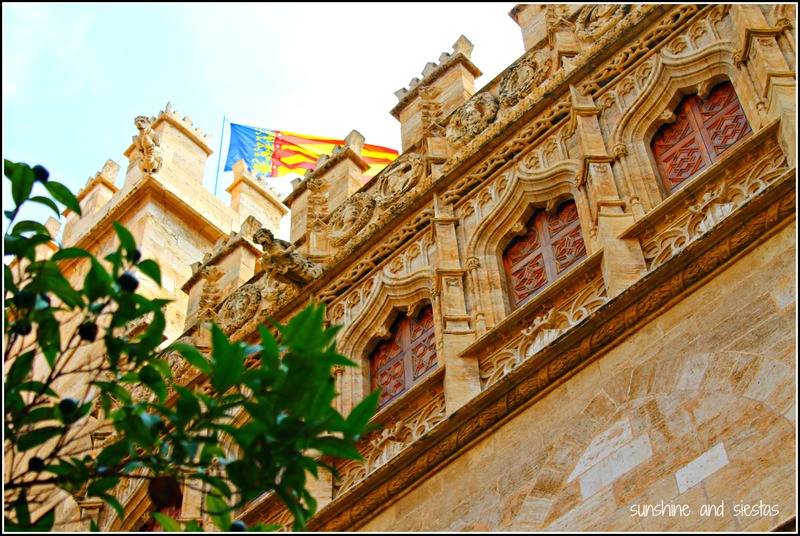 From the Triana side of the city, the commanding skyline had very few blips, just the spires of churches, the Giralda tower and the Torre del Oro, where gold was kept during the New World Exploration. Nowadays, the tower hosts a small naval museum (with free entrance every Tuesday) and is a reference point for the city. But that may all change. Further up river, the construction of the Torre Pelli has the UNESCO up in arms. In fact, this skyscraper will effectively change the city skyline the way the setas did a few years ago, and the organization is threatening to put Seville on their blacklist and strip the Cathedral, Alcázar and Archivo de Indias of their world heritage status. During a visit in January, the organization effectively called for the construction to be halted, and even at only half its height, it makes a statement. Do you think skyscrapers are right for Seville or small Spanish cities? 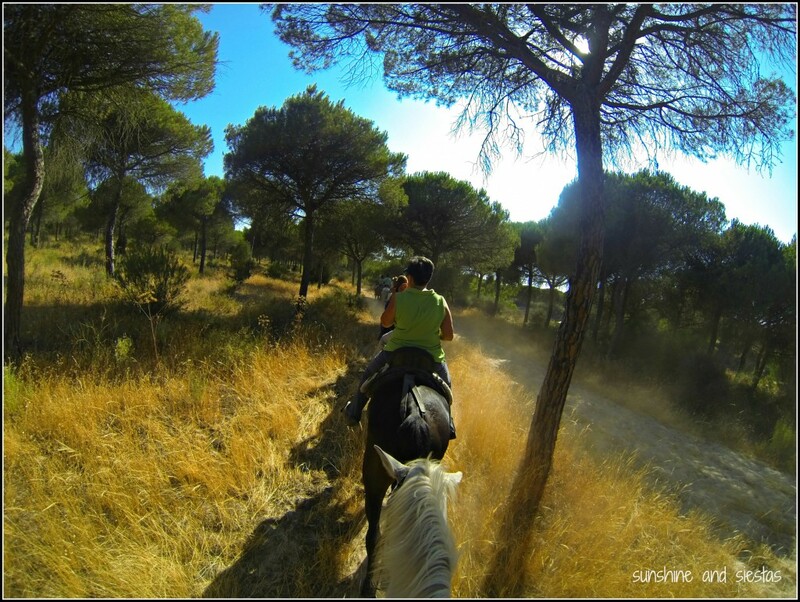 Many thanks to Fiona for her insight via the Andalucía Blog! 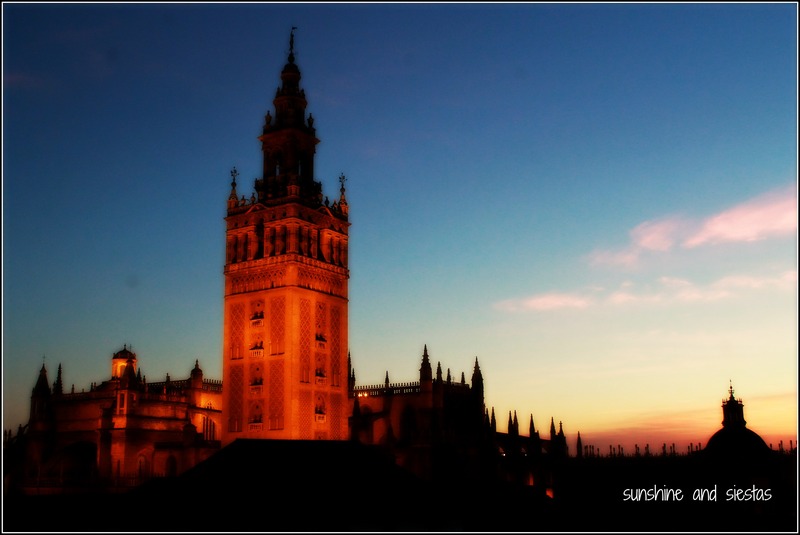 If you’re new here, check out my first entry in a series on photogenic Seville, which will be posted every Monday. If you’d like to participate with your photos from Spain and Seville, please send me an email at sunshineandsiestas @ gmail.com with your name, short description of the photo, and any bio or links directing you back to your own blog, Facebook page or twitter. Don’t forget to follow Sunshine and Siestas on its new Facebook page!